Onam is the popular festival of Kerala celebrated in entire state with joy and brotherhood. 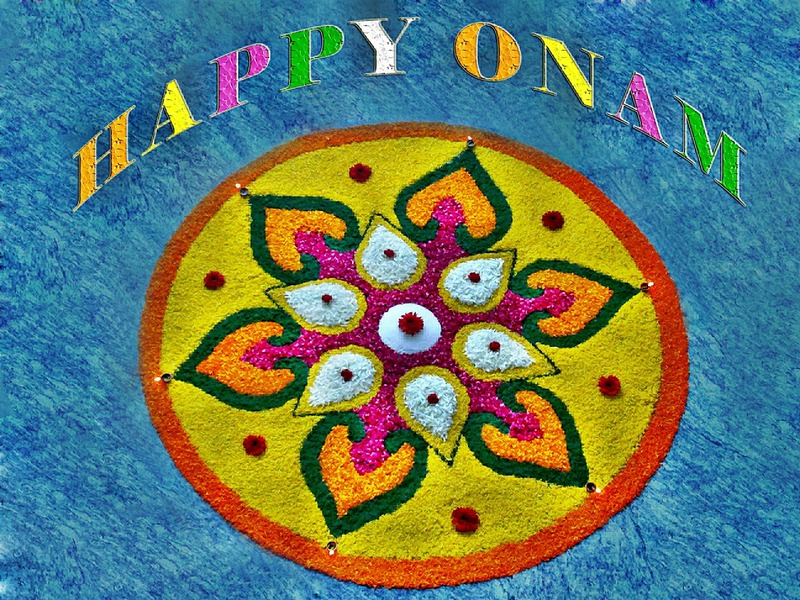 Onam festival falls during the Malayalam month Chingam (Aug- Sep) and this year, it will starts on 25th August. Irrespective of Religion all Malayalies celebrating this festival Onam with lot of joy and happiness. Not only in Kerala, but in all over the world Malayalies celebrates Onam which starts on a day called Atham and ends on 10th day which is Thiruvonam. In these 10 days of celebration, each day has its own importance in various rituals and traditions. The traditional ritual of laying “Athapookalam” stars on Atham day. The main flower used for Athapookalam is “thumbapoo”. On the first day it is small in size like in a circle laying thumbapoo surrounded by a ring of another verity flower. And the size of Athapookalam gradually increases as the number of flower rings increasing each day. Different flowers are used each day. On thiruvonam day the pookalam has been removed with some poojas and offerings to” Thrikakara Appan” (The god of Onam). 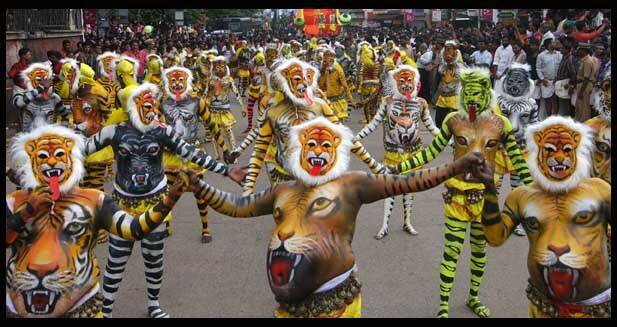 There are different events like Vallam kali, Pulikali, Thiruvathirakali, Onappatu etc. conducted during Onam days. Another tradition in Onam season is swinging. People used to make swing in all houses. Traditionally the swing is a long rope tied on the branch of a hardwood tree with a wooden seat. During the festive mood people wear new dress. The head of the family distribute new dresses to all family members. The Legend of Onam is related to the Evil Emperor Mahabali. Despite being an Evil, Mahabali ruled the earth very well. Citizens are very happy and no worries and sorrows anywhere in the world. Then The Devas saw the rise of the Evil King as a threat. The Devas approached Lord Vishnu and ask for help and he agreed to help. Mahabali was performing the sacrificial rite of Vishwajit Yagam on the banks of Narmada River. Taking advantage of the Yagam and Mahabali’s declaration, Lord Vishnu disguised as a Brahmin boy “VAMANA” and came to the Yaga-sala (place where pooja is held). Mahabali received the Brahmin boy with all honor and courtesies. As Mahabali offered Vamana that he was ready to fulfill his wish whatever it is, Vamana asked Mahabali land equivalent to three paces of his feet. As Mahabali was a King who would never go back on his word, he resumed his promise to Vamana. Mahabali asked Vamana to measure out the desired three paces of Land. Then Vamana grew in size as big as to measured all of the earth in one foot step and for second foot step he measured the all heaven. There was still one foot territory left. Mahabali requested Vamana to place the final step on his head as the third step of land .Vamana did so and in doing so , send him down to sutala the heaven-like underworld. The site where he placed his foot to be said the village of THRIKKAKARA. As a last gift, Mahabali was granted permission to visit his subjects once a year. Thus Malayalies celebrate Onam festival as the yearly visit of Mahabali.